Created specifically for grades 4-6, the Free Elementary School Tour of ZOMBIE THOUGHTS is the story of Sam and Pig, avatars in a video game. Sam is anxious. Pig is punny. Will the audience be able to help them make the right choices on their quest to defeat the evil Machine? A sometimes touching, sometimes hilarious journey in, around and through anxiety. Featuring Katie Jones Nall (through November 1), Sharah Meservy (beginning November 2) & Alicia Washington, designed by Arika Schockmel, directed by Cheryl Cluff. Funded in part by the National Endowment for the Arts, Larry H. Miller Charities, Salt Lake City Arts Council and Zions Bank (presented in Davis County as Davis Arts Council’s Active Stages Program, in Wayne County by Entrada Institute and in Weber County by Weber State University’s Arts Learning Collaborative). 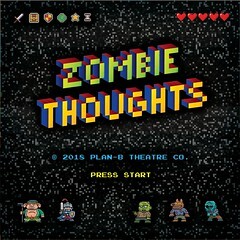 Click here to download the ZOMBIE THOUGHTS Study Guide. 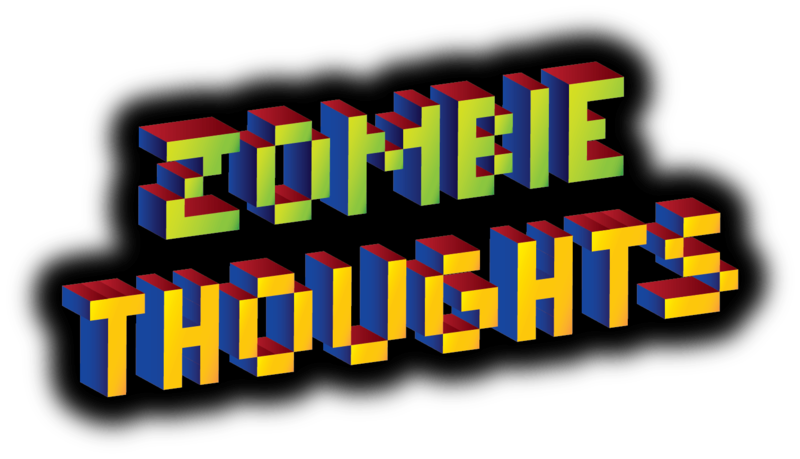 ZOMBIE THOUGHTS will serve 8,000+ elementary students (grades 4-6) at 50 (primarily Title I) schools in 15 counties. 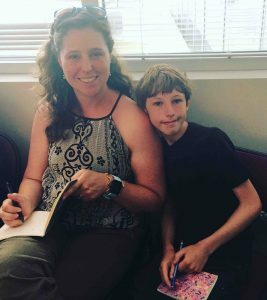 Click here for info on the free playwriting workshop with the playwrights one hour before showtime! Jennifer A. Kokai (Playwright) received her MA from Washington University in St. Louis and her PhD from the University of Texas at Austin. She is an Associate Professor of Theatre at Weber State University. Her plays have been seen in Indianapolis, Louisville, Austin, Ogden and Salt Lake City. Her play GIRL OF GLASS was included in the Lark Play Development Center’s Playwright’s Week in 2014 and was an O’Neill semi-finalist in 2015. Plan-B has previously workshopped her play THE ART OF FLOATING as part of the Script-In-Hand Series and produced her short play BIRD BRAINS as part of ROSE EXPOSED: FLIGHT in 2016 and her monologues “Mitch” and “Janine” as part of (IN)DIVISIBLE in 2017. Oliver Kokai-Means (Playwright) is 11 years old. As an actor, he has appeared in three productions at Weber State University: THE WILL ROGERS FOLLIES, SIX CHARACTERS IN SEARCH OF AN AUTHOR and DELUGE as well as FUN HOME at Salt Lake Acting Company. He plays soccer, goes to the theatre and codes Minecraft mods and servers. In the future he wants to be a computer programmer. His favorite play is MATILDA THE MUSICAL. Cheryl Cluff (Director) co-founded Plan-B in 1991, has been Managing Director since 1995. She has directed every episode of RADIO HOUR, as well as MESA VERDE, THE SCARLET LETTER, SUFFRAGE, 3, CHRISTMAS WITH MISFITS, BASED ON A TRUE STORY and the past two Free Elementary School Tours: RIVER.SWAMP.CAVE.MOUNTAIN. and THE EDIBLE COMPLEX. Cheryl has also designed sound for nearly every Plan-B production since 2001. Katie Jones (Sam through November 1) returns to Plan-B, having appeared in “The Final Debate” as part of ROSE EXPOSED: BREAKING NEWS earlier this year. Other recent roles include URINETOWN (Little Sally, Grand Theatre), THE SECRET GARDEN (Mary, Centerpoint Legacy Theatre) and the world premiere of THE PLAIN PRINCESS (Echo, Weber State University). She is also a voiceover artist for Reading Horizons. Sharah Meservy (Sam from November 1) is Plan-B’s Education Coordinator. While a student at BYU, she was involved with multiple plays for young audiences: ESPERANZA RISING (as a cast member), GO, DOG, GO! (as assistant costume designer) and THE GIVER (as costume designer). Sharah loves working with students and has previously worked as an English teacher in China, an elementary school paraprofessional and a Girl Scout camp counselor. She recently appeared in A MIDSUMMER NIGHT’S DREAM and TWO NOBLE KINSMEN for Grassroots Shakespeare Company. Arika Schockmel (Designer) has designed props for Plan-B’s JUMP, THE WEIRD PLAY, THE ICE FRONT, VIRTUE, BASED ON A TRUE STORY and CHRISTMAS WITH MISFITS. She has worked extensively in costume crafts for theatre and film and is the resident Prop Master for the U of U Department of Theatre. Other projects include stage management and the occasional acting gig. This is for her daughter Charlotte, age 7, who is inarguably Arika and her husband’s best work to date. Alicia Washington (Pig or Sam, depending on the performance) is the Artistic Director of Good Company Theatre in Ogden. Recent stage work includes DIARY OF A WORM, A SPIDER, A FLY (Salt Lake Acting Company) and eight tours of Intermountain HealthCare’s LIVE WELL School Program. She has taught theatre to and for youth in public schools in Ogden School District and for the Egyptian Theatre in Park City. ZOMBIE THOUGHTS also had a student workshop production at State Fair Community College in Missouri this past May with a second touring production at Building Better People Productions in Maryland this fall and a school production at St. Andrew’s Priory in Hawaii, also this fall! Click here for details on production rights. Hard things are easier if you laugh. I gave my Mom the ideas and the characters and she wrote the words.